With the last quarter of 2017 producing phenomenal results, Houston-based direct sales and marketing specialist, Empire Z Inc. is focusing on growth in 2018. Mr Zou believes that the firm's commitment to development will be the catalyst for growth in 2018 and he is excited to see what the next 12 months bring. “We have substantial growth goals for 2018, with plans to open two new locations in Houston in the first quarter, and then to launch in three new locations in Q2 and two in Q3. Our goal for the end of the year is to have grown by 1000%." 2017 has very much been about laying solid foundations for Empire Z Inc. Launched in March this year, CEO Bing Zou has worked tirelessly to recruit, train and develop ambitious and talented individuals to help take the firm forward. "It’s been a steep learning curve. However we have been able to attract and retain some incredibly talented individuals who share our goal of growth,” commented Mr Zou. Empire Z Inc. is first and foremost an outsourced sales and marketing firm, specializing in customer acquisition to increase market share and raise brand awareness. However one of its main objectives is growth, and it cultivates this through an integral development program. The firm’s management training program is open to all recruits and provides a structured progression path. Participants will learn all aspects of the firm’s business fundamentals including business management, client relations, marketing and sales strategies, leadership, public speaking and sales. Essentially an accelerated learning program, the goal is to teach participants all of the necessary skills and knowledge to be able to manage their own project within 6 to 12 months and provide a supportive environment for people to hone their skills. 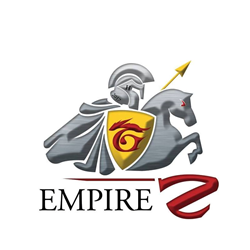 Empire Z Inc. exclusively promotes from within and therefore offers young professionals the chance to move from entry level up the ranks to a management position. The firm provides first-class coaching and training through a personal mentor, client and in-house workshops, attendance at industry conferences, access to nationwide networking links and one on one coaching. Empire Z Inc. is an outsourced sales and marketing company which specializes in customer acquisition and retention for both old and new clients alike. The Houston-based firm is passionate about development, with CEO Bing Zou committed to helping the firm's contractors reach their full potential. The entrepreneur recognizes that offering progression is vital for the firm's continued growth.